We've been spotting our pretty jewels everywhere. Magazine covers, editorials, red carpets... all on beautiful, trendsetting celebrities. 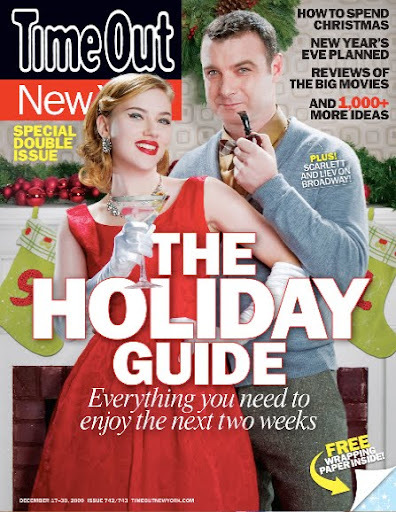 Femme fatale Scarlett Johansson looks gorgeous and very festive on Time Out's holiday-themed cover. 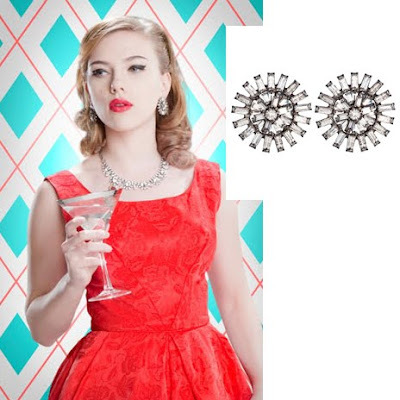 She is wearing Dannijo's 'Garbo' earrings to complete her vintage look. Julia Roberts' talented niece, Emma Roberts, is like a tiny version of her. She looks adorable, and very Audrey Hepburn-esque, in her Dannijo 'Garbo' earrings. Gossip Girl's favourite bad girl (they should bring her back! ), Michelle Tranchtenberg, looks sleek and beautiful with her dark red lipstick and her Dannijo 'Mazati' statement necklace. Stunning and funny girl, Mila Kunis, exudes effortless style. We love the soft sweetheart neckline of this dress, against CC Skye's hard edged 'Starburst' bangles. 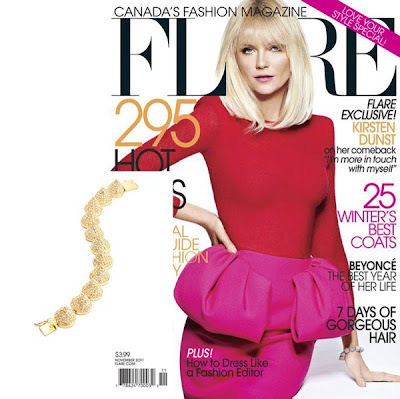 Kirsten Dunst is picture perfect on the cover of FLARE magazine, wearing a bright Giambattista Valli dress. Only one accessory to complete the look: Eddie Borgo's cone bracelet. And last but not the least, is our favourite girl, Olivia Palermo, showing some love for LeiVanKash again. This time she opted for a feather bracelet, for a nice bright dose of turquoise.